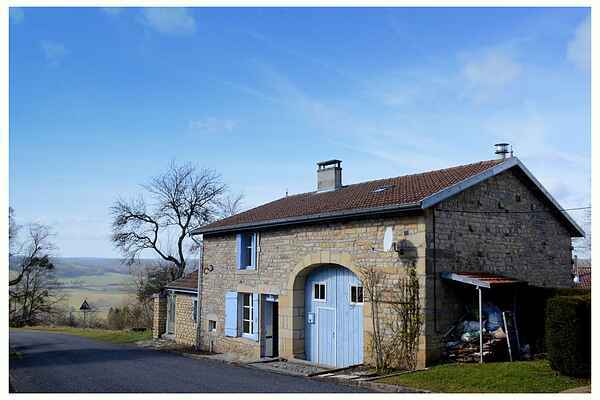 This house is in the Champagne-Ardennes region, only a short distance from Burgundy. This means: lush landscapes with forests, hills and meadows, and of course, wine. Bourgogne wines are among the best in the world, for good reason, and should you have something to celebrate during your stay, then pop open a bottle of the no less famous sparkling wine from the Champagne region. Or just because a holiday is reason enough for a party. The situation is also perfect as a starting point for cultural day trips. It is pretty much the same travelling distance to gems like Dijon, Nancy and Besancon. The somewhat smaller Langres is closer by. The house itself exudes a delicious, warm and nostalgic air, both in the natural stone construction with a lot of woodwork, and in the furnishing. Don’t think that the furnishing doesn’t meet the modern traveller’s demands, because it certainly does. Both in the home and its surroundings you’ll enjoy France as it’s meant to be.